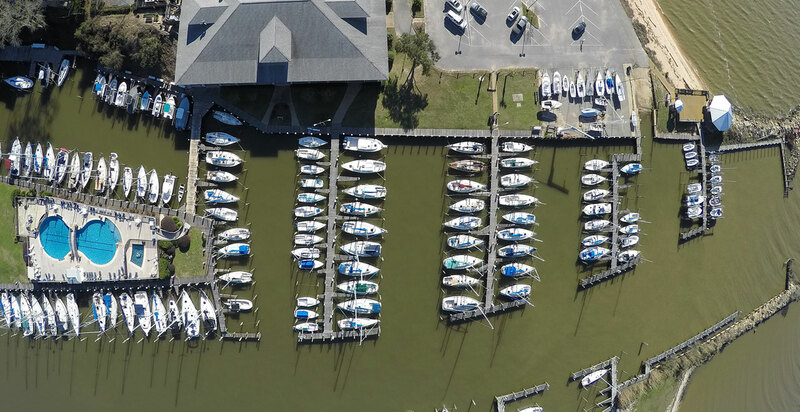 Located in Fairhope, Alabama, Fairhope Yacht Club(FYC) has been a Mobile Bay institution since 1942. We are located on the beautiful Eastern Shore of Mobile Bay, and welcome sailors of all ages, both racers and cruisers. FYC offers spirited racing, plus a wide variety of social and family events. 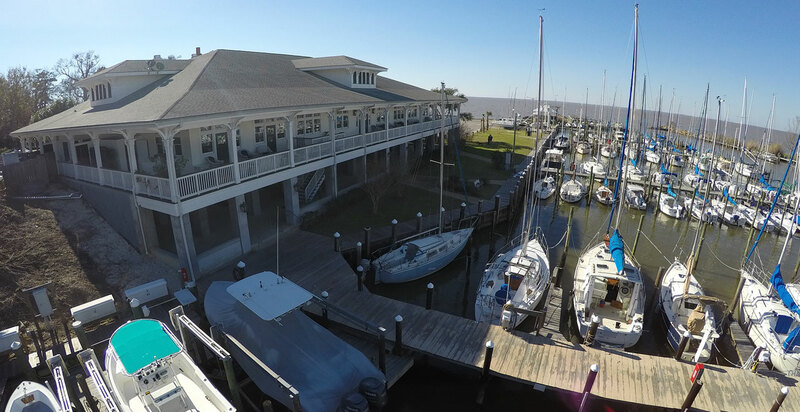 Like many clubs along the Gulf Coast, our club house, much of our harbor and many of our boats were destroyed when Hurricane Katrina made landfall to our west on August 29, 2005. 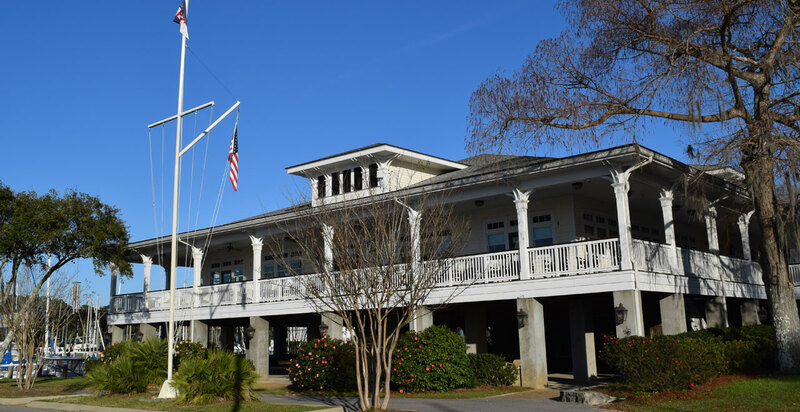 Members quickly rallied and renovated the boat barn is serve as our temporary club house. In 2007 we completed the construction of a new swimming pool and the reconstruction of our harbor; then on August 29, 2008, three years to date after being destroyed, we commissioned our new club house. It is a beautiful, grand facility. 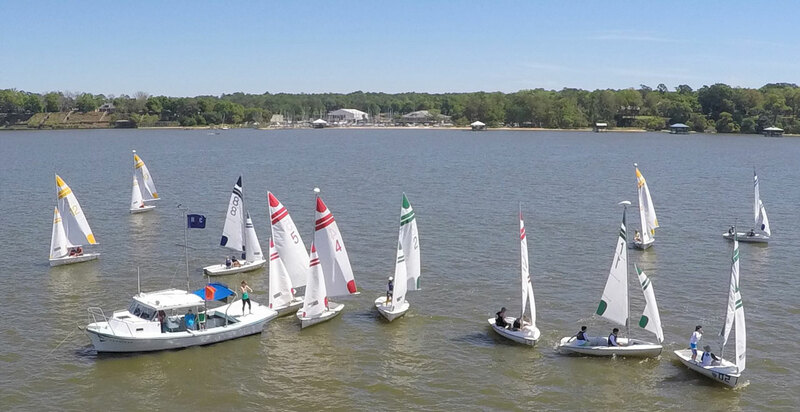 Throughout the rebuilding process our spirit for the love of sailing was never diminished and our members continued to enjoy racing and social events on the FYC grounds. We continue to be a vibrant and growing organization with a broad based and diverse group of individuals with a common goal: to advance the sport of sailing. We are blessed with a moderate climate, steady afternoon sea breezes and fantastic sunsets. Our generally laid back lifestyle is occasionally punctuated with bursts of extreme intensity, usually right before the starting gun, or during a jubilee!